Dell’s XPS 13 is still the best 13-inch laptop you can buy. A strange thing happened at a recent meeting. I sat down, took out the new Dell XPS 13, and sat back as everyone else did the same. They, too, had the XPS 13. Only one person sat behind an aging MacBook Pro 15, the Apple logo glowing like a lone streetlight on an abandoned road. Dell has earned its popularity. The XPS 13 has remained our favorite Windows laptop since it was released in 2015. Only recently has its design started to feel its age — and so Dell responded with an update in early 2018. 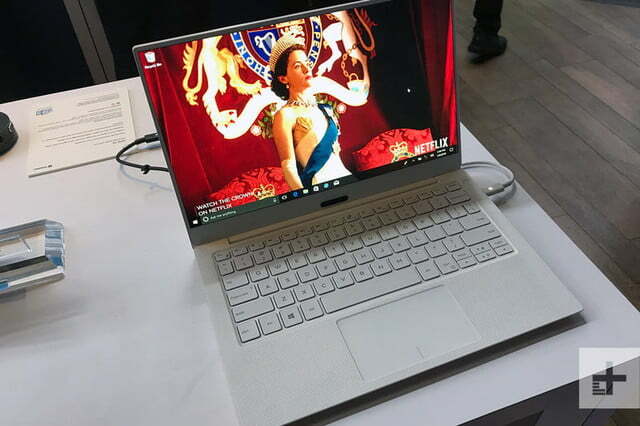 The 2018 XPS 13 which, for now, is being sold alongside the old model, starts at $1,000 for a Core i5-8250U processor, 4GB of RAM, and a 128GB solid state drive (SSD). We tested both the $1,200 model (with Core i5, 8GB RAM, 256GB SSD, 1080p display, on sale for $1,100) and the $2,100 model (with Core i7, 16GB RAM, 512GB SSD, and 4K display, on sale for $1,840). Are these still the best of its breed? 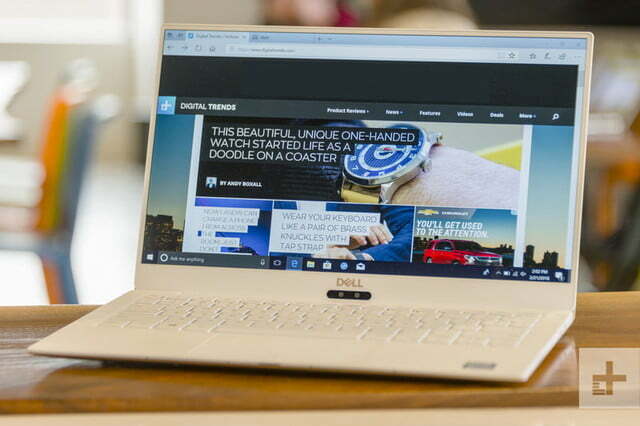 The Dell XPS 13 won our award for the best products of the year. Make sure and check out all our other selections for Best Products of 2018. Our review unit, with its white interior and rose gold exterior, stands out from its predecessors. While Dell has toyed with different exterior colors on past models, including gold and rose gold, the interior always had a black carbon-fiber look. The white option is a more casual choice, though we wish it could be paired with more than just a rose gold exterior. 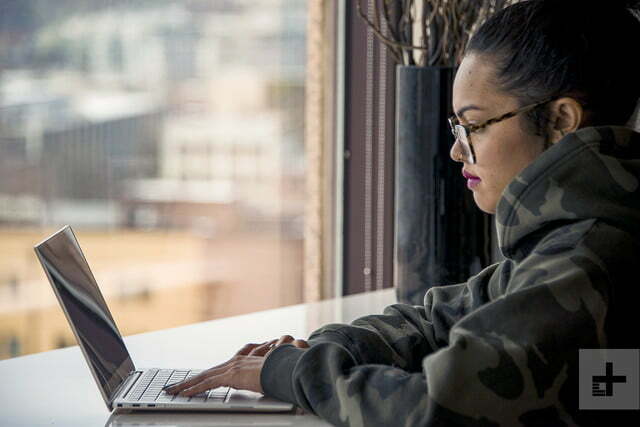 It’s sleek, sturdy, and still on the small side for a 13-inch laptop, all of which make it look modern — if not new. Going rose gold and white will set you back an extra $50, not only because it’s the new hotness, but also because isn’t easy to make. 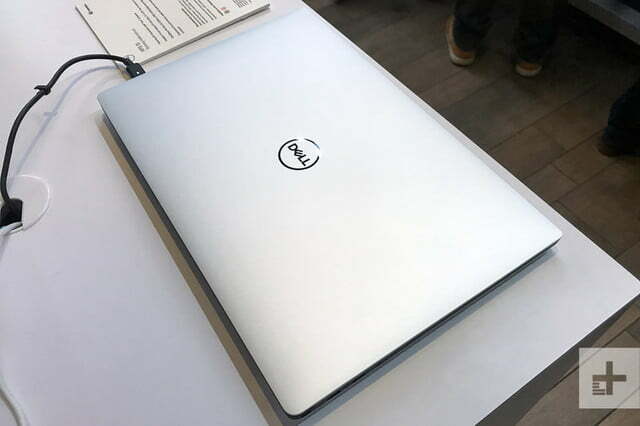 Dell says the white model was designed with great care for how it’ll wear over time, and you can feel it. The material used is stiffer than the black version, and its woven texture is not just seen but felt. While we personally prefer the black XPS 13, the white version still looks and feels premium. Yet, it’s not quite perfect. We felt more chassis flex than in the older model, though we admittedly went looking, and doubt most owners will find reason to complain. It’s a nitpick, but it stands out on a premium laptop. Alternatives like the MacBook Pro 13 and Surface Book 2 13-inch feel like chiseled stone — though, admittedly, they’re also both larger and heavier. Connectivity has drastically changed. 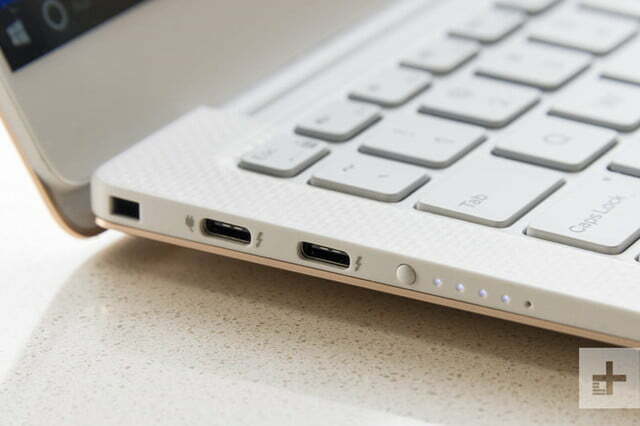 While the old model still offered USB-A alongside ThunderBolt 3, the new model goes all-in on two ThunderBolt 3 ports and one USB-C 3.1 port. While only one of these ports is labeled for charging, we found all three juiced up the laptop. 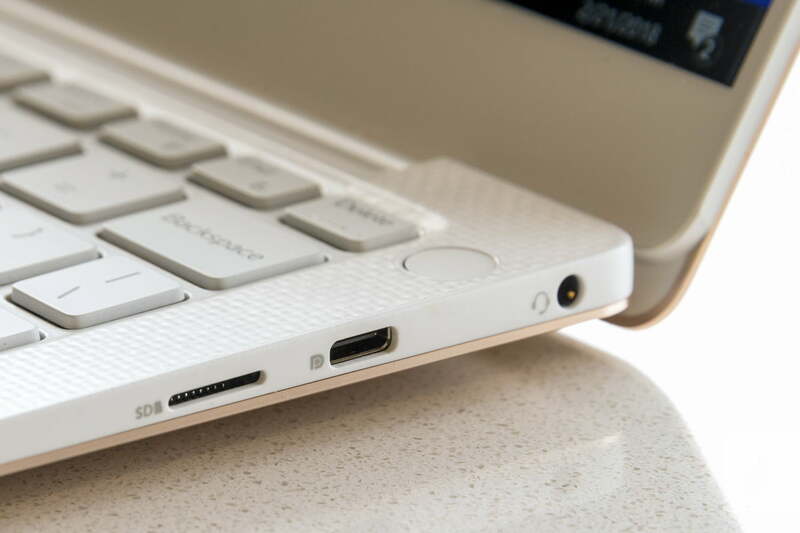 The USB-C port can also handle DisplayPort. The options are wrapped up with a card reader and a headphone jack. Wireless connections of course include 802.11ac Wi-Fi and Bluetooth. The Wi-Fi adapter is a Killer Networks model with built-in load balancing, which Dell says can help smooth out performance when watching Netflix and other streaming video services. We didn’t notice much difference, but we did appreciate the bundled Killer software. It doesn’t look like much, but it does allow per-app networking management, and includes a graph of nearby Wi-Fi network strength. We’re sure that some will despise Dell’s ditching of older ports, but it was among the last in its class to support them. Like it or not, USB-C and Thunderbolt 3 are the future. Dell is not cruel, however, and includes a USB-C to USB-A adapter in the box. The keyboard remains great. In fact, if anything, it improved slightly. Otherwise, the new XPS 13’s updates are hard to notice. Its maximum thickness is down substantially, from 0.6 inches to 0.46 inches, and weight has dropped a few hundredths of a pound — but we doubt you’d have any idea if no one told you. Size aside, the shape of the laptop hasn’t changed, and that downplays the updates. It’s still a wedge, it still looks rather wide, and it still has large rubber feet on the underside to prevent slippage. On balance, this is a conservative update. That’s fine with us. 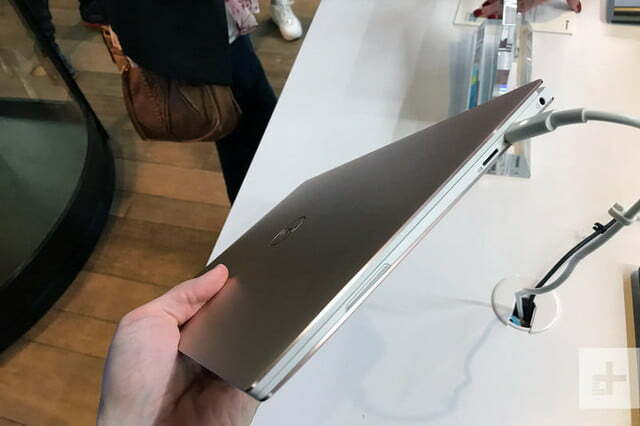 Our main complaint with the outgoing XPS 13 was its girth, which felt chunky next to competitors like the HP Spectre x360 and Huawei Matebook X Pro. That’s not a problem for the new model. It’s sleek, sturdy, and still on the small side for a 13-inch laptop, all of which make it look modern — if not new. Keyboard quality has long been among the XPS 13’s greatest strengths. 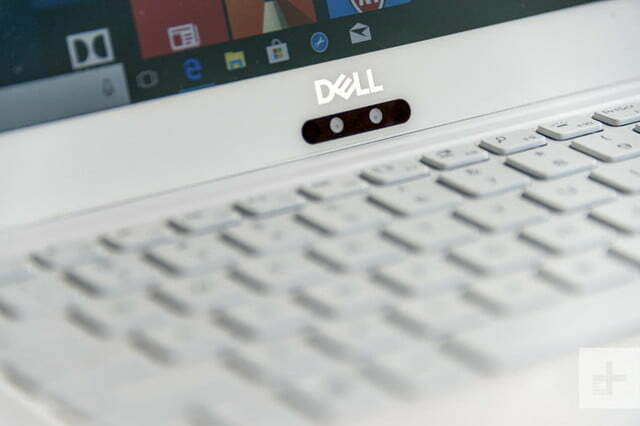 The redesign left us worried, as such designs do, that Dell might mess with the formula. They haven’t. The keyboard remains great. In fact, if anything, it improved slightly. Key travel seems identical between the two, but the new model has a firmer, more tactile bottoming action. Finicky typists should be warned the layout is still on the small side, with some tiny keys — like Backspace. Still, it’s excellent for a laptop this small, rivaling the Surface Book 2 and far exceeding alternatives with very shallow keyboards like the MacBook Pro 13 and the original Asus Zenbook 3. A backlit keyboard is standard, but only offers two levels of brightness adjustment. We also found that, at least on the white model, lighting quality wasn’t great. Keys were lit unevenly across the keyboard, and the light was dim around the edge of each keycap. 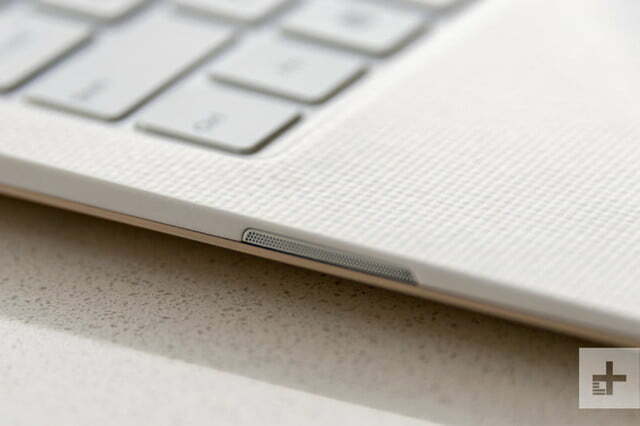 We’re happier with the touchpad. The XPS 13’s small size means the touch surface is a bit constrained even relative to other 13-inch devices like the Samsung Notebook 9 Pen, but the XPS 13 makes up for that with a smooth, responsive feel and full Windows Precision Touchpad support. Windows 10 now has many useful gestures and, once you know them, they’re a breeze to flip through. 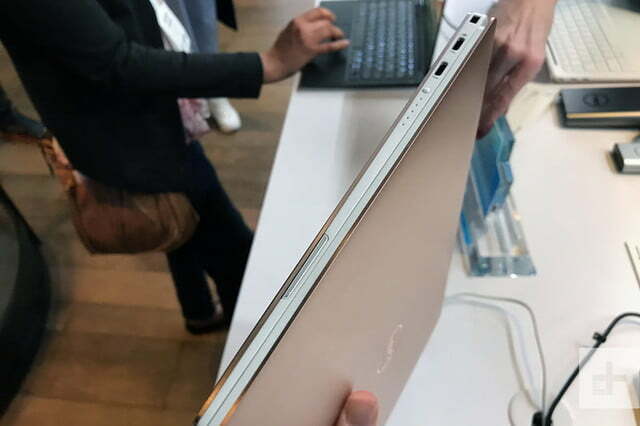 The 720p webcam is still placed along the bottom of the XPS 13’s display, offering awkward, up-the-nose shots whenever it’s time for a video conference. 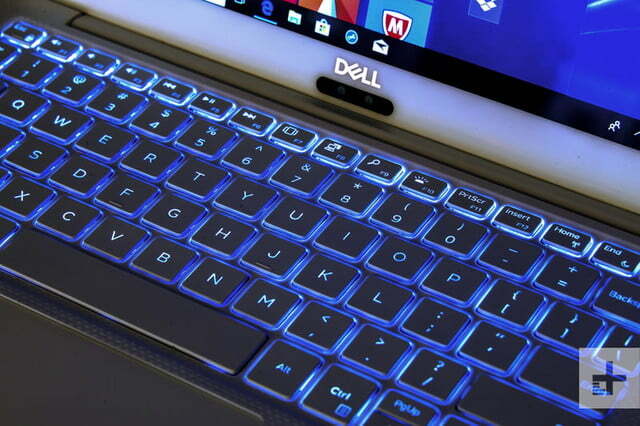 Dell has at least moved the camera to the middle of the laptop, and quality has improved. It’s also compatible with Windows Hello so you can log in with just your face. Like past models, a touchscreen is optional. The base 1080p screen doesn’t support it, while the 4K option does. Touch isn’t a must-have on a laptop, but we’ve become so used to it that we often reach to tap the display by instinct. 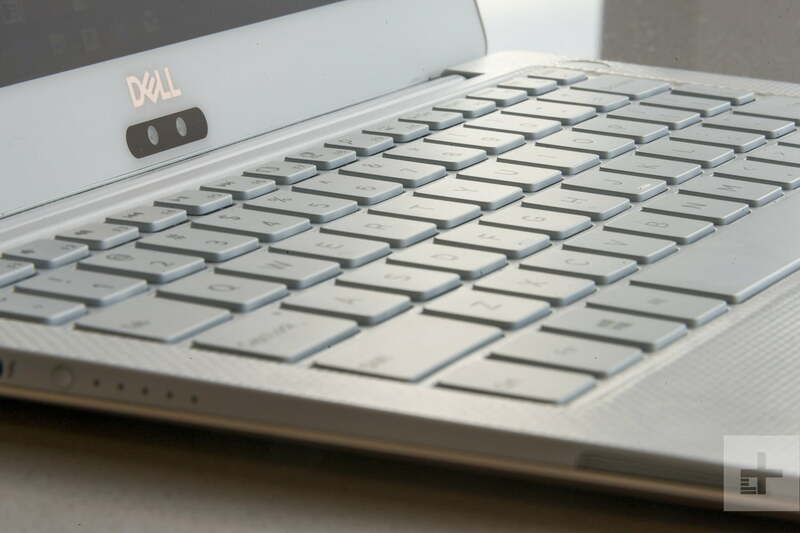 We’d like to see all versions, even the entry-level XPS 13, support touch. 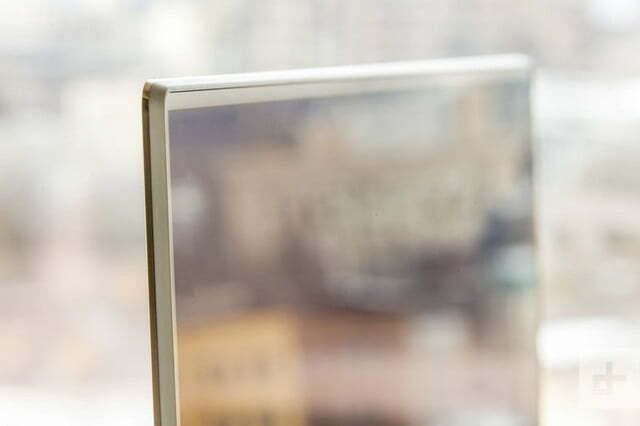 The optional 4K touchscreen is the replacement for the older model’s 3,200 x 1,800 screen. The upgrade technically increases sharpness, but you likely won’t notice, as pixel density was already far above what’s need to make individual pixels invisible at a normal viewing distance. Still, we like Dell’s decision, as 3,200 x 1,800 is an awkward resolution. Both screens perform well, but we recommend most people stick to the 1080p panel. While the 4K screen is sharper, the 1080p screen scored better in contrast ratio and color accuracy. You’ll also see better battery life from the 1080p model — more details on that below. You can find a better display on alternatives like the MacBook Pro 13, the Surface Book 2, and the upstart Asus ZenBook S, and you might prefer those options if really high contrast, extremely wide color gamut, or precise color accuracy are your goals. 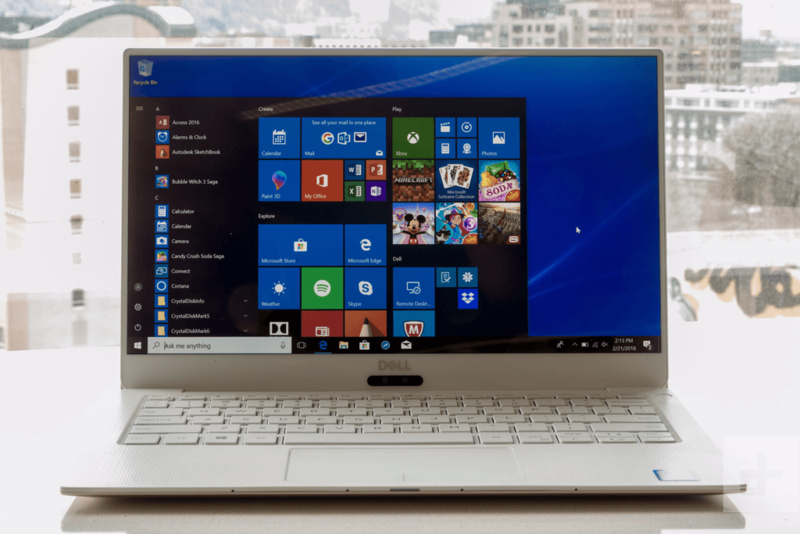 Most people, however, just want a screen that looks nice, and the XPS 13 easily clears that hurdle while delivering test scores that are competitive with its peers. While the display excels, the speakers do fall behind. They sound quite pleasant at moderate volume but, as volume goes up, the chance of distortion also rises. The bass-heavy trailer for Avengers: Infinity War showed the speakers at their weakest, but the less dramatic trailer for The Incredibles 2 fared better. The new XPS 13, starting at $1,000, is technically $200 more than the older version. Yet it’s not exactly an increase in price. Instead, Dell doesn’t currently offer a Core i3 version. 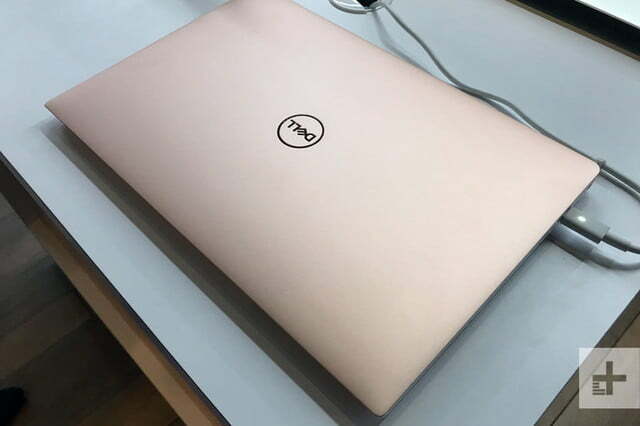 The most basic XPS 13 has a Core i5-8250U, which can be upgraded to a Core i5-8550U. We tested both versions. Geekbench 4 doesn’t provide any surprises, as both versions of the XPS 13 performs like competitors. The Dell XPS 13 with Core i5 falls just slighly behind both the Asus ZenBook 13 UX331UA and the Acer Swift 3. 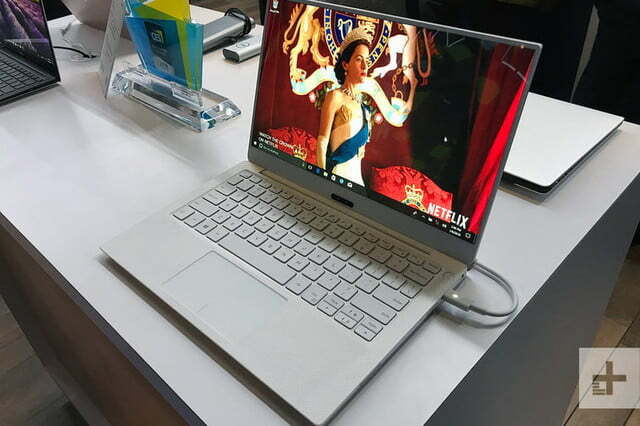 The XPS 13 with Core i7, meanwhile, trades blows with the HP Spectre x360 13-inch, landing slightly behind in single-core but ahead in multi-core. Things get more interesting in Handbrake, a video encoding tool. Here we saw extremely strong results from the Dell XPS 13, which handily beat all its peers, including the LG Gram with Core i7-8550U and the ZenBook 13 UX331UA. Dell’s Core i5 model needed just four minutes and 10 seconds to crank through a 4K movie trailer, and the Core i7 model finished about a half-minute more quickly. Even the Core i5 model felt spritely, quickly jumping between tasks. You might be wondering why the XPS 13 is so quick. We suspect it’s the new cooling system, which uses Gore fabric to provide exhaust insulation and keep directed in the right direction. Handbrake is a relatively long, high-load test, and so it tends to reveal thermal throttling. The new XPS 13 doesn’t seem to suffer from that. Both of review units came with a Toshiba XG5 solid state drive connected over PCI Express. Each hit high read speeds of up to 1.9 gigabytes per second, but write speeds were a bit lower at 475 megabytes per second. Here, some peers are faster or more balanced, but some also fall behind. The HP Spectre 13, HP Spectre x360 13-inch, and Samsung Notebook 9 Pen all beat the XPS 13 in write performance, but were behind — sometimes far behind — in reading speed. 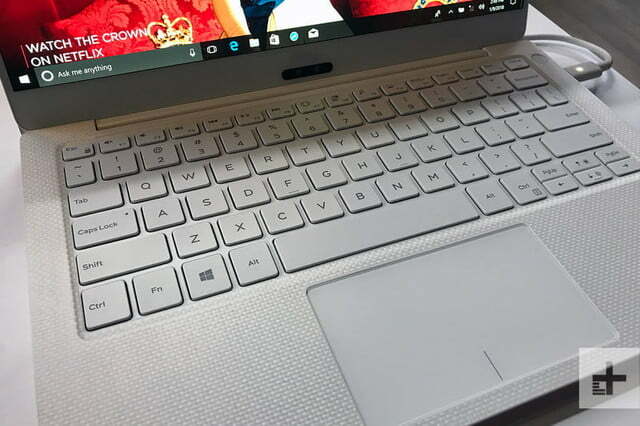 Tallied up, the numbers are in the XPS 13’s favor, and that translates to smooth performance. Even the Core i5 model felt spritely, quickly jumping between tasks without a moment’s hesitation. 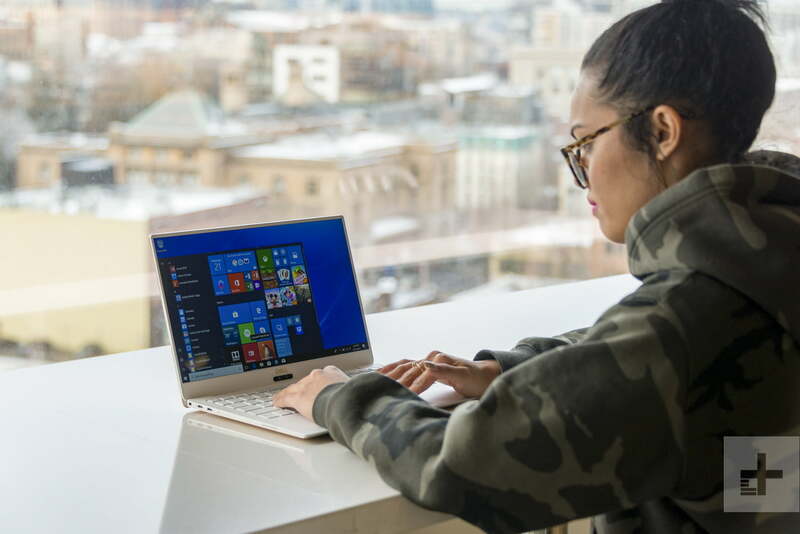 All versions of the new XPS 13 come with Intel UHD 620 graphics integrated into the processor. That’s not unusual for a 13-inch laptop, though some newcomers like the Asus Zenbook 13 UX331UN offer an Nvidia GPU. Intel UHD 620 can’t match that, but the Dell accounts for itself better than most. While competitors tend to score between 900 and 1,000 in 3DMark’s Fire Strike test, the Dell laptops both scored above 1,000. Again, we suspect the cooling system can be thanked, as the laptop seemed less strained than most laptops in its class and ran cooler – though it was still too warm to comfortably use on your lap. We also ran Rocket League to see how the laptop handles a real-world game. At 1080p, with graphics set to Performance, the Core i5 model managed an average of 54 frames per second, and the Core i7 scored near-identical results. Bumping graphics detail up to High Quality reduced performance to 23 FPS. That said, we did find the game was playable at just above 30 FPS on the still-attractive Quality preset. These are strong results for a laptop with Intel UHD 620 graphics, and prove some less demanding games are playable, but if you want some real gaming prowess look to the XPS 15 or the XPS 15 2-in-1. Slimming the XPS 13’s profile didn’t compromise the keyboard or performance, but the battery wasn’t so lucky. The new model ships with a 52 watt-hour unit, a downgrade from the old model’s 60 watt-hour units. The Dell XPS 13 doesn’t have the best battery life in its class, but it’s near the top of the heap. We saw 13 and a half hours in the video loop with the 1080p display, which was cut back to 10 and a half hours with the 4K display. Either model is likely to put you through a full workday without topping it off, but the 4K version won’t have much left in the tank. Both the models we tested were able to exceed results from past versions, despite the smaller battery. Dell’s latest design is more efficient than the last, so current owners do have reason to upgrade. 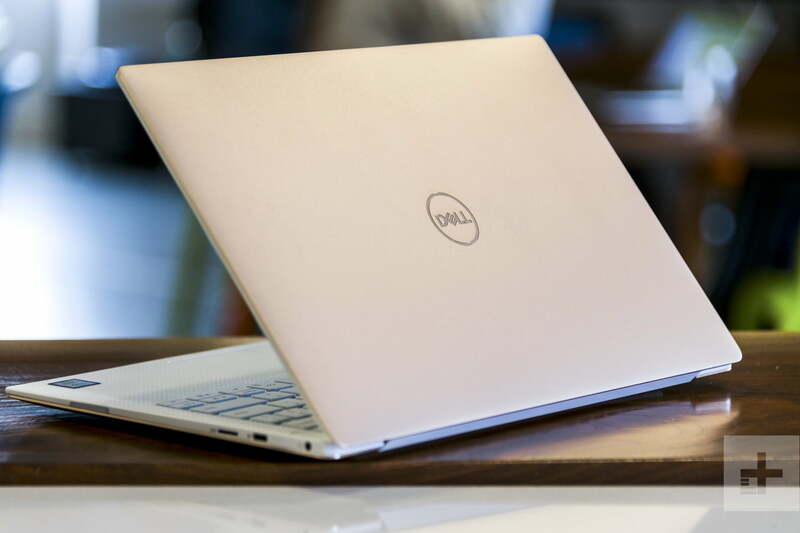 The new Dell XPS 13 tweaks the old model’s proven formula, updating it for modern tastes. Its thin, fast, and still lasts on the go despite its downsized battery. 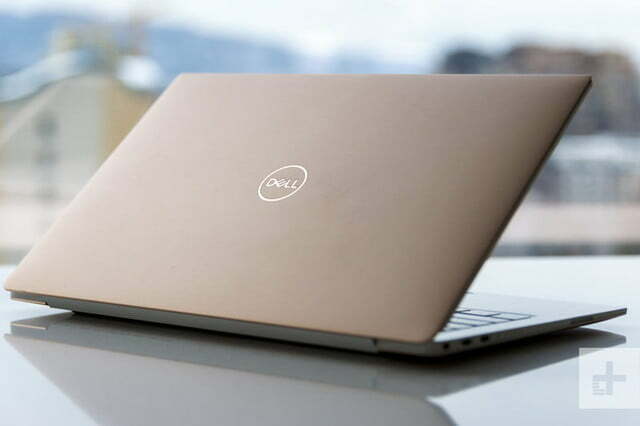 We particularly like the $1,200 model, which balances performance and battery life — especially as Dell is increasingly offering discounts on the new model. 2-in-1s are popular and affordable, detracting somewhat from the appeal of an old-school clamshell that comes standard without a touchscreen. Dell does make a 2-in-1 version of the XPS 13, but it’s not as quick. We recommend the Microsoft Surface Pro 6 if you want your laptop to function well as a tablet too. If you prefer an old-school laptop, though, the XPS 13 is certainly your best option. Competitors like the Huawei MateBook X Pro, HP Spectre 13, and MacBook Pro 13 have their perks, but they don’t deliver as much value overall. The XPS 13 is packed with the latest hardware, futureproofed ports, and has an excellent display. That all adds up to a laptop that should, barring accidents or defects, serve you for five years (or more). Dell offers a one-year warranty against manufacturer defects. That’s typical for any laptop, even one priced at $1,000 and above. Yes. The Dell XPS 13 is still the best 13-inch laptop you can buy.